﻿Bowl with your school friends! All Hilton stud﻿ents and siblings welcome. Children will be assigned to lanes by grade﻿. Please sign up on the Sign Up Genius and send money to Hilton Office by Wednesday, January 18th, Attn: Bowling. Six Fridays - 1/20, 1/27, 2/3, 2/10, 2/17, 2/24 (pizza party). 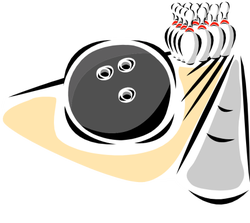 Practice frames begin at 4:20pm and one game of bowling begins at 4:30pm. $25/person. Make checks payable to Hilton PSO. Shoe rental is included. You must be present every Friday to supervise your own child or make arrangements for someone else to supervise them. Your child cannot be “dropped off” at the bowling lanes. Also, per the PSO policy, alcohol will not be served. Contact Katie Batcheller with any questions.